August has snuck up on us so quickly around here! It seems like just last weekend we were celebrating the 4th! But we love August because it brings some exciting things like the beginning of school for some and of course, COLLEGE FOOTBALL. 🙂 Yep. We’re looking forward to college football at our house. That’s how our traditional Saturday night pizza started. We’d make pizza and eat it while watching our Boise State Broncos!!! They have a new coach this year so we’ll see what this season brings. But good or not, we’ll still eat pizza and watch them play. 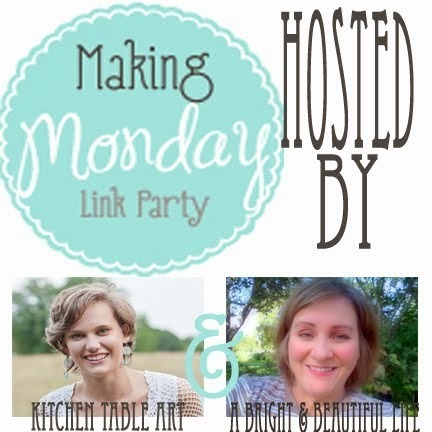 Welcome to this week’s Making Monday. Thanks for joining us for the party. Gracie’s been a crazy woman this summer with weddings, showers, and baby showers! 2. Needed new outfits for each event. So she fixed that by revamping this Bridesmaids dress into a Little Black Skirt. 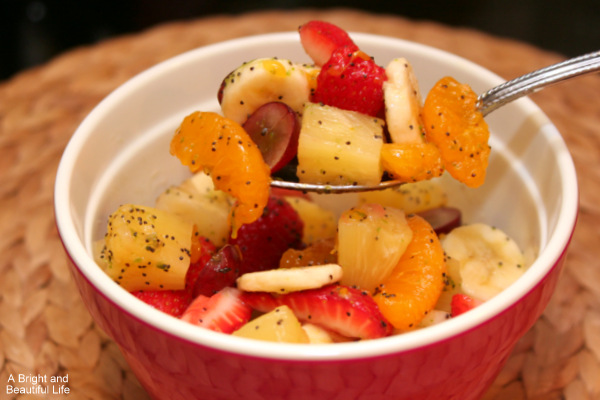 As always, Lori doesn’t disappoint with this amazing Summer Fruit Salad with Honey Lime dressing! It’s a light and refreshing side dish. #1. These Gluten Free Cheesy BBQ Chicken Bites look like the BOMB! #2. Um, whoever thought of this is genius! Hot Chocolate Cheesecake with GayLeah Real Whipped Cream! #3. And a good knock off is always needed. 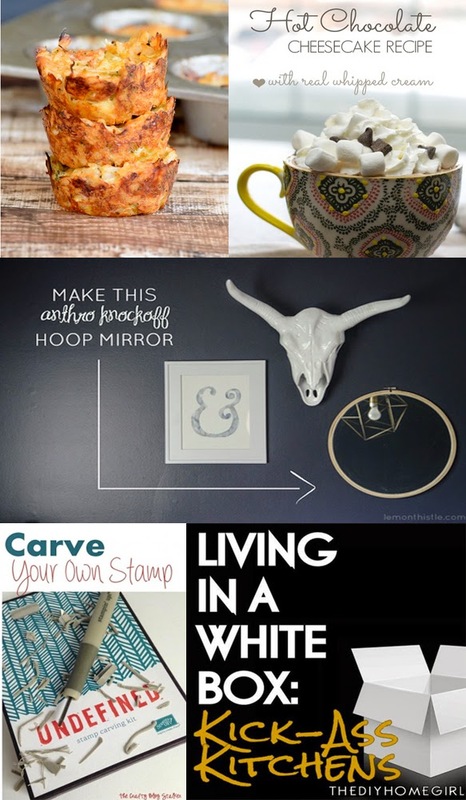 DIY Hoop Mirror: Anthro Knockoff. #4. And everyone loves stamps, check out how to Carve Your Own Stamp here! #5. For all you renters out there, check out how to spice up your White Box Kitchen. We hope that you ladies are loving this party as much as we are. We can’t get over all the awesome stuff that gets shared week after week. But keep it up because we LOVE it! Thanks for the party, the dress is amazing!